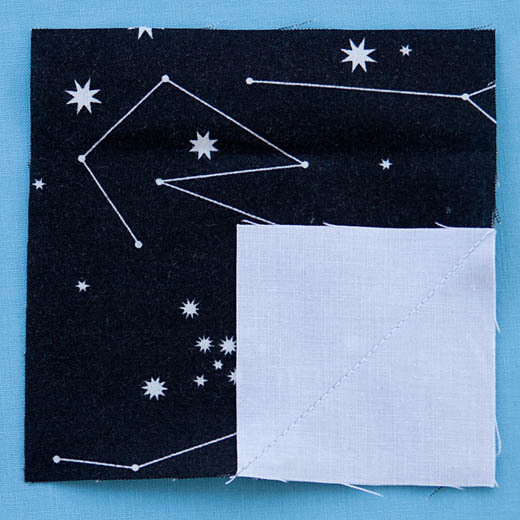 I love this quilt by Monica Solorio-Snow of Happy Zombie. 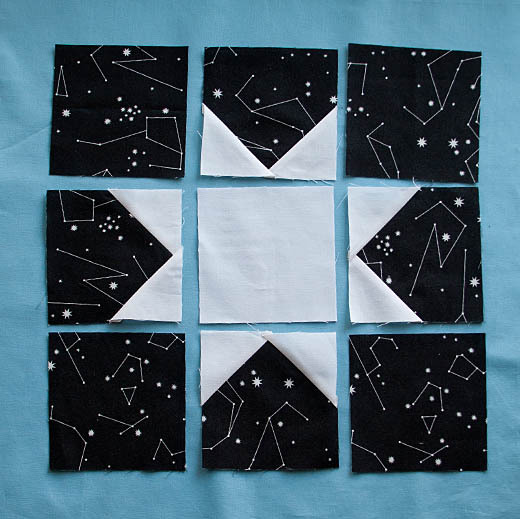 When I saw Constealltions by Lizzy House, I knew it had to be made into a star quilt! To make the blocks even more graphic, I removed the borders and reversed the colors. Then, I wanted to resize it to make a 12" block. Here are my measurements and a step by step guide to the block construction. 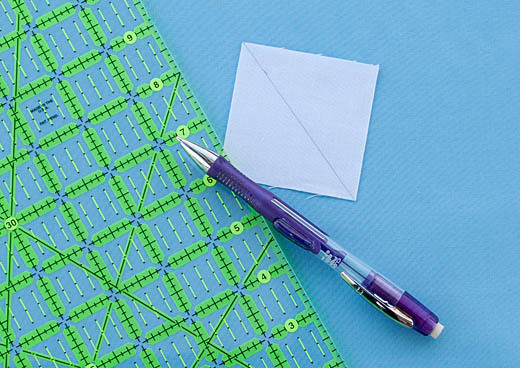 Draw a diagonal line across each 2.5"x2.5" white square. Place one 2.5"x2.5" white square on top of one 4.5"x4.5" colored square. 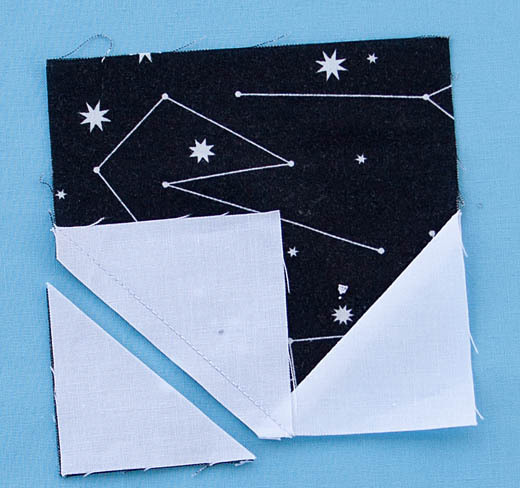 Sew along the marked line. Trim 1/4" away from the sew line. Press. 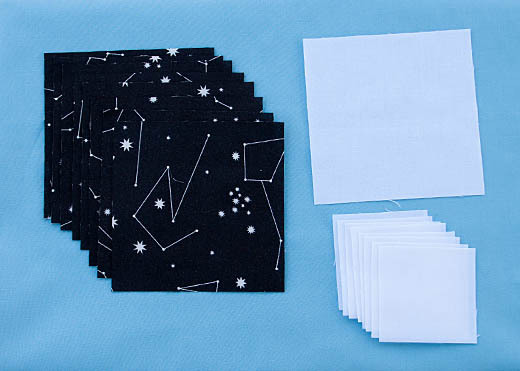 Place another 2.5"x2.5" white square in the opposite corner. Sew along marked line. Trim 1/4" away from the sew line. Press and repeat to make four. These are your star points! Sew together into three rows. Join rows to complete block. 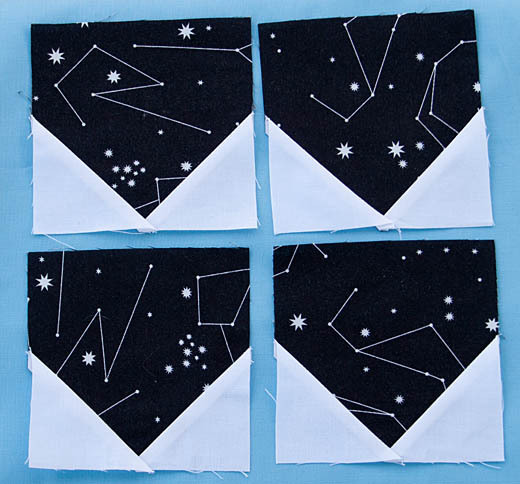 I used 12 fat quarters for my Stargazer quilt. The finished quilt measures 48"x72". 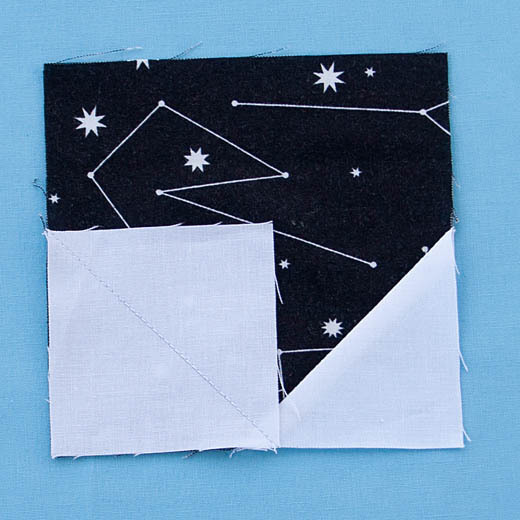 If you use the full 18" of your fat quarter, you can get enough squares to make two stars. A cutting guide and fabric requirements for additional sizes are included in the free project sheet. UPDATE: I've added a bonus cutting guide for using Layer Cakes and Charm Packs. What a great quilt and thanks for the free pattern/tutorial. It looks great, what a great use for that fabric! Thanks Miss Shay! I'm having a hard time picturing anything but stars. LOL! Fabulous tutorial!! Love the Flickr pictures! Love your fabric!!! 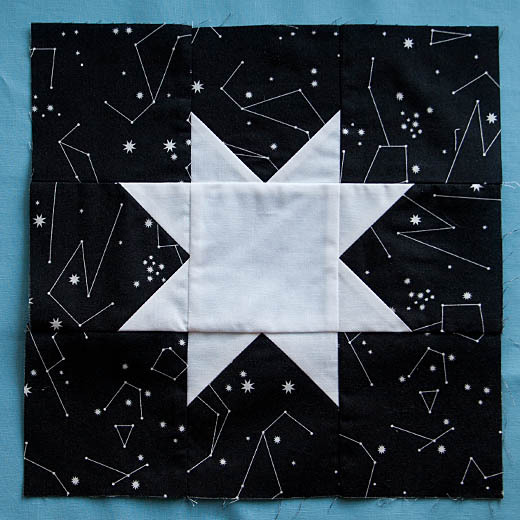 Love that fabric you used in the star. I know just the project to make with it. Oooh! I can't wait to see!! Thanks for this! 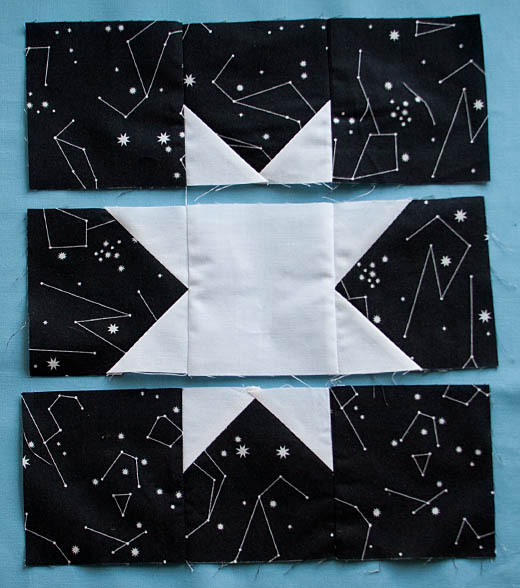 I think I may try it one day using wonky stars, which just suit wonky me a bit better. Very cute quilt! Love your tutorial. You give very easy to follow direction and love the fact that you give an exact count of everything needed. A tut I actually have confidence that I can do. Thanks! It`s just beautiful.I love stars! !